One day my company’s CEO announced a new policy. It was unreasonable and there was unrest amongst the staff. After the meeting, I told the head of my department that I would continue to break the rule. She declined to take any action, but I assumed I would be fired soon, so I resigned. That way, even if I was fired during my last two weeks, I could truthfully say I quit on future job applications since my resignation came first (there’s a resume trick for you). The details of the policy and name of the employer are not important, but here’s the rest of the story: The CEO ignored my rule-breaking (and eventually changed his mind on the policy). I worked another month at the request of my department head because she had always treated me well. When I finally left, she shook my hand and said I was welcome back anytime. Avoid quitting a job impulsively. Carefully consider a few questions first. Are there alternatives to quitting? Have you made preparations? 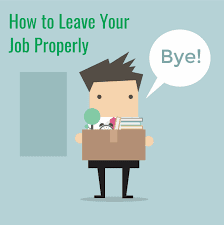 How can you leave on good terms in case you need the job back? Are some bridges meant to be burnt? Can you comfortably lose the income, even if the loss is temporary? Are you starting a business? 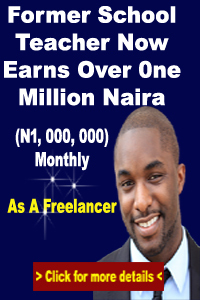 Have you started the business and the income is sufficient? With enough money in the bank, you can quit a job you don’t like anytime, even before you line up another one. Many financial authors recommend six months of savings in the bank, but I prefer to have enough money saved to pay the bills for a year. This should be the main reason to quit your job, well, except your boss is mean. If you have more than one stream of income (Affiliate Marketing is a good source), quitting a job is easier to handle. If you have a side hustle or two and some investment income, you’ll be in a strong position to make job decisions without worrying too much about paying the bills. Keep a resume ready and up-to-date. If you’re qualified for several types of positions, make a resume for each. It’s easier and safer to quit a job if your living expenses are low, but the type of expense matters greatly. For example, it’s not necessarily a problem if you spend a fortune eating out and going to movies every night because you can immediately cut those discretionary expenditures when you’re between jobs. Your boss might deserve to hear “take this job and shove it!” as you walk out the door in the middle of the day. But it’s usually a bad idea. I’ve quit without notice twice, and the employers did deserve it, but I (mostly) held my tongue, and I walked out suddenly only on short-term jobs I could leave off my resume. Unless there is a good reason to do otherwise, give at least two weeks’ notice, and tell your employer what you liked about working there (c’mon, there has to be something). You might want the job back someday, or a future employer might talk to this one. To the extent possible, leave on good terms. More importantly, do a good job while you’re still there. If you’re tempted to slack off because you hate the job or your boss, it’s time to go. You deserve to be treated right, but your employer deserves to get what he pays for. Put your resignation in writing. If you’re not sure what to say, look for templates and examples of resignation letters online. Essentially, you want to explain, give a time-frame and thank your employer for the opportunity to have worked there. Yes, your resume and future job applications may look less than ideal if you quit too many jobs. But there are a few tricks to making them look as good as they can. First, leave a few things off the resume. A job you had for a week isn’t relevant, is it? If you have many past jobs to choose from, include the ones that are most relevant to the position you’re applying for, and don’t mention the others. What about that part on the application where they ask why you left a previous position? No problem; as a complex human being you always have multiple reasons for quitting, so just choose one your new employer prefers to hear. He doesn’t need to know you just get bored with jobs after the first few months (yes, I’m talking about myself). One solution is to always have a small business on the side. Then, if there is a gap in your employment record, you were “focusing on your business.” If your business is incorporated, you can even put yourself down as an employee during those otherwise blank stretches. It also helps to round off the dates of previous employment. For example, if you quit a job in January and started another in November of the same year, writing down just the years you worked at each will make it appear as if there is no gap. I’m not suggesting lying, but employers who look at your resume probably won’t tell you the bad things about working for them, so why should you volunteer negative information? Of course, no matter how many tricks you use, if you quit too many jobs, your resume will suffer. Just consider that part of the price you pay for job-quitting freedom. Your Turn: Are you ready to quit your job? If you’ve quit jobs in the past, what strategies have helped you? 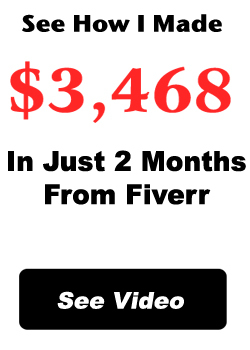 If you would like to quit your job today and make money and live your dream life, I can teach you via Affiliate Marketing.